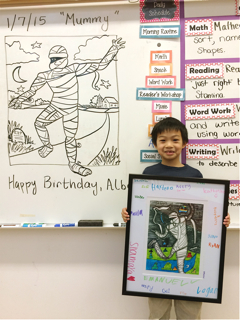 Birthday Parties — Afterschool Art and More! 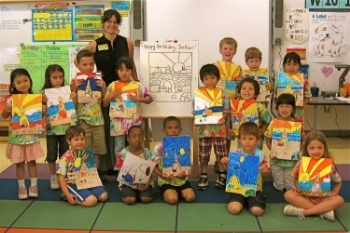 The art lesson theme is the birthday girl/ boy's choice. In one hour, I teach all party participants to draw step-by-step with permanent marker on 9X12 acid free art paper. Each participant draws on his/her own paper and uses markers and chalk pastel to finish their drawings. To learn more about my method of teaching, please read the FAQs. Choose one of the above lessons or inquire about something specific. I have hundreds of art lessons. In the event that I don't already have the art lesson you are looking for, you can have it custom made just for your child's party, for an additional $25.